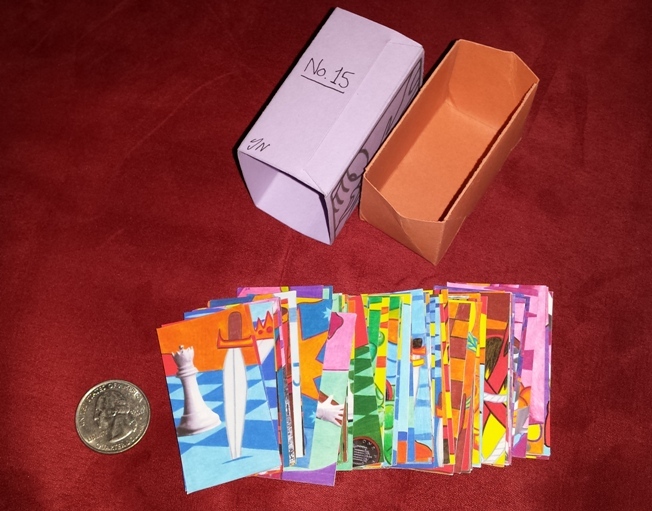 78 cards inside a handmade paper box that slips inside a paper sleeve. No instructions included. The cards are quite small, measuring 5.4 cm tall x 3 cm wide. The card stock is uncoated and thin -- it feels more like heavy paper than actual card stock. The backs are a non-reversible, black and white design. No names, titles, or numbers are printed on the cards. Also, given the small size of the cards, the number of suit symbols does not always match what the typical number of the card would be (i.e. there aren't 9 swords on the 9 of Swords card). 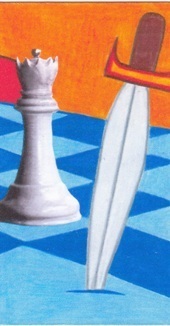 Instead, each card zeroes in on a tiny iconic part of the card that represents what the full scene would typically be in an RWS style deck. 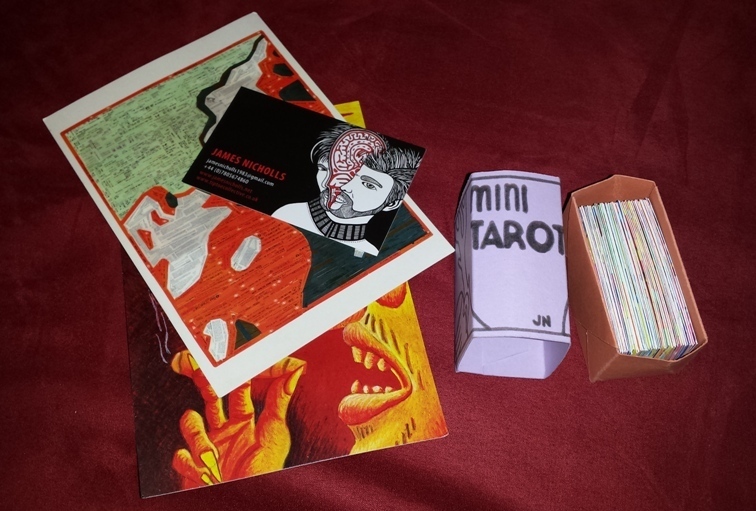 Thought the title on the deck's box is "Mini Tarot," the creator lists it for sale on Etsy as "Handmade Tarot Cards." 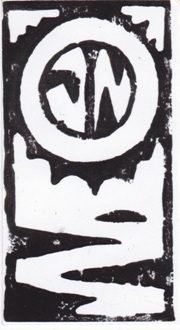 This is part of a limited, numbered edition of 50. 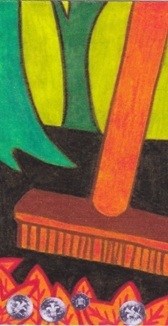 My deck is numbered 15 -- the # and the artist's initials appear on the box sleeve. 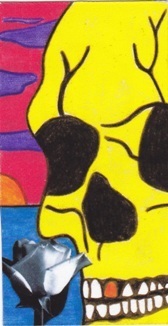 The only way that I know it is part of a limited edition of 50 is that the Etsy listing for the deck states this. I purchased my copy for $12.89 USD from the creator's Etsy shop on August 18, 2012. 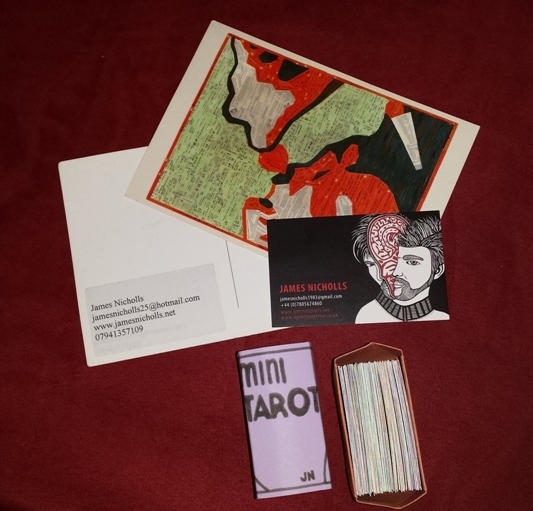 The creator is located in the U.K.
James Nicholls, “Mini Tarot,” The Osborne Tarot Collection, accessed April 21, 2019, http://tarot.zerosummer.org/items/show/279.